Serves 4-6 people. 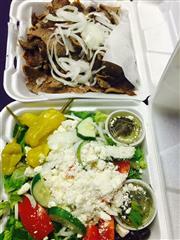 Choose any 6 Kabobs, served with Rice & Greek Salad. Choose from a list of drink options.